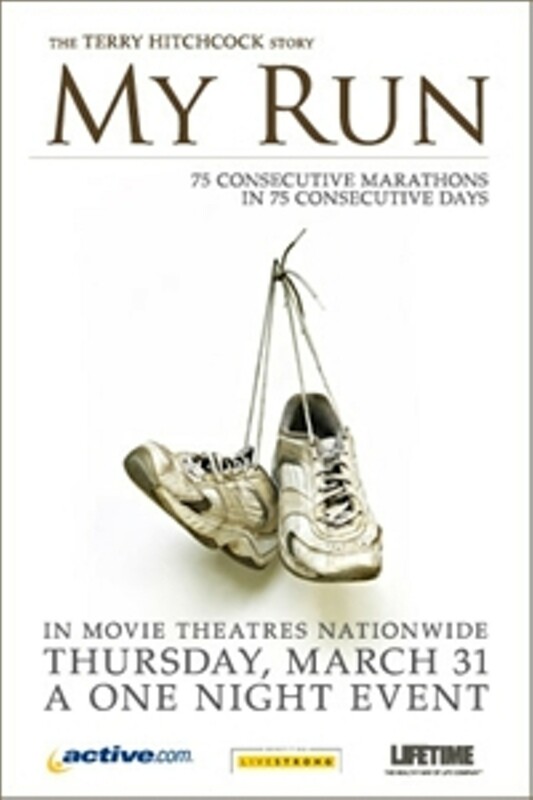 The award-winning and critically acclaimed documentary "My Run" is coming to movie theaters nationwide for an exclusive one-night premiere event on Thursday, March 31, at 7 p.m. (Local Time). 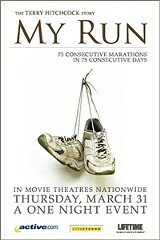 Narrated by Academy Award winner Billy Bob Thornton, "My Run" is the inspirational story of real life superhero Terry Hitchcock, the 57-year-old man who ran 75 consecutive marathons in 75 consecutive days. This powerful and uplifting documentary exemplifies a commitment to something greater than yourself and achieving something deemed impossible. Following the feature, audiences will take a deeper look into the story through Q&A and interviews with the star Terry Hitchcock and his son, support team member Chris Hitchcock. My Run Premiere Event is not showing in any theaters in the area.